Milani Cosmetics is releasing some bright, vibrant crème nail lacquer with a textured, matte finish. 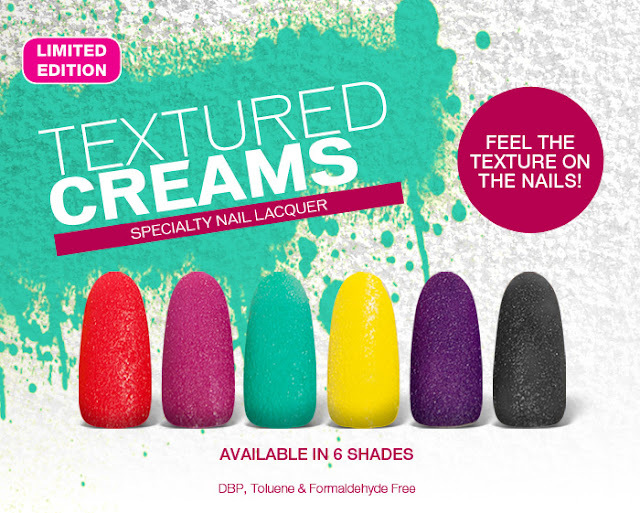 These are Limited Edition and will be available in 6 shades so here is a sneak peek of the release info. I'm so interested to see what these look like in person!